Elon Musk‘s rocket company, SpaceX, is raising another $US500 million in investments, the Wall Street Journal reported. That means SpaceX could end 2018 with $US1.257 billion in new funds, since the company already raised $US507 million investment in April and got a $US250 million loan in November. SpaceX may raise another $US500 million in new funding before the New Year. That’s according to a story published Tuesday by the Wall Street Journal. If Elon Musk’s rocket company does raise the money, the new funding would get added to a $US250 million loan that SpaceX secured in November, according to the Journal, as well as $US507 million in investments that SpaceX started selling in April. Totaled up, that means SpaceX may close 2018 with a total of $US1.257 billion in new funding. Such money will be vital for SpaceX to achieve a suite of ambitious and interwoven goals in the coming decade. The company is trying to develop, build, and launch Starlink, an effort to cover Earth in ultra-fast broadband internet. It’s also building the prototype of its Big Falcon Rocket (BFR), a gargantuan reusable space vehicle designed to bring people to Mars. SpaceX also hopes to use BFR to send a Japanese billionaire and a crew of artists around the moon and create the world’s fastest transportation system. However, based on previous statements by Musk and Gwynne Shotwell, SpaceX’s president and COO, the company has two very big targets for spending the money. SpaceX/YouTubeTwo SpaceX demonstration satellites for Starlink, a plan to bathe Earth in high-speed internet. One of SpaceX’s biggest new initiatives is called Starlink. The plan, which the Federal Communications Commission approved in March and November, is to surround Earth with nearly 12,000 internet-providing satellites. That’s more than twice the number of all spacecraft launched by humanity. The project aims to provide global broadband coverage with speeds more than 178 times as fast as the current worldwide average. In 2015, according to Akamai’s “State of the Internet” report, that was 5.6 megabits per second; Starlink’s goal is 1 Gbps. “Satellite technology can help reach Americans who live in rural or hard-to-serve places where fibre optic cables and cell towers do not reach,” Ajit Pai, the FCC’s chairman, previously said of SpaceX’s plans. Mark Handley/UCL; YouTubeAn illustration of SpaceX’s constellation of thousands of Starlink satellites to provide global high-speed, low-latency internet. Selling the service may rake in tens of billions of dollars for SpaceX, but Musk says he’ll offer it low-cost or free to those who can’t afford to get on the web. 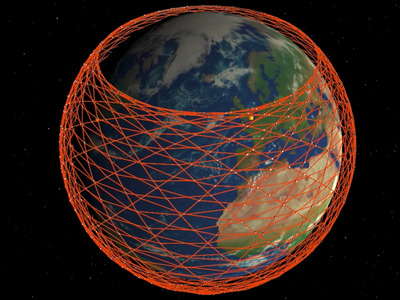 “If successful, Starlink constellation will serve least served,”he tweeted in February. 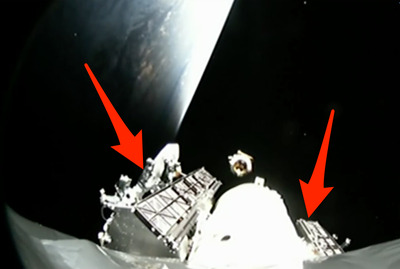 SpaceX launched two experimental Starlink satellites in February, and it has already built a satellite factory in Redmond, Washington. But manufacturing thousands of spacecraft and launching them into low Earth orbit – even dozens at a time with the company’s Falcon Heavy rocket – demands serious capital. Musk’s company appears to be running behind on its original Starlink plans, which call for launching 1,600 satellites within six years. By the end of 2018, the company had hoped to send up hundreds, which did not happen. And according to FCC approval documents, SpaceX has until November 2024 to launch at least half of its planned 11,943 satellites, and until December 2027 to launch the rest. SpaceXAn illustration of the SpaceX’s Big Falcon Rocket, or BFR, launching into space. Here, the spaceship is shown detaching from the booster. Musk also said at the time that most of the company’s engineering resources would eventually shift toward BFR. The launch system is designed to ferry up to 100 people and 150 tons of payload to Mars at a time. 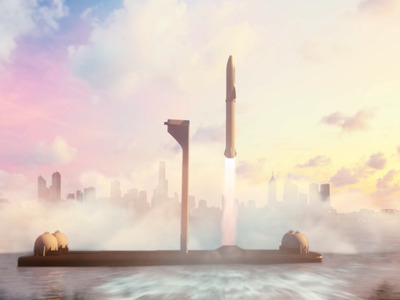 The current BFR design calls for two main sections: a rocket booster called “Super Heavy” would push a spaceship called “Starship” into Earth orbit. Everything would run on liquid methane and oxygen. Musk said in September that a fully-stacked vehicle would stretch about 387 feet high – more than eight stories taller than the Statue of Liberty. 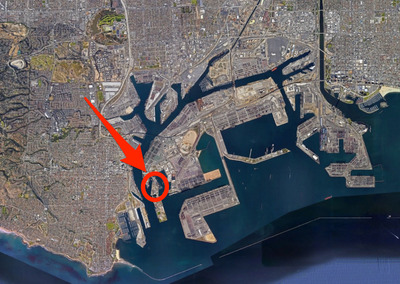 Olivia Reaney/Business InsiderThe planned dimensions of SpaceX’s Big Falcon Rocket. The BFR would land itself and be fully reusable – a scheme that could slash the cost of access to space a thousand-fold, since the system would be used over and over like a jet aircraft rather than only once. In theory it’d be very inexpensive to operate in the long run, which is why Musk thinks the BFR could eventually replace all the company’s offerings. Musk has also suggested that BFR’s Starship might ultimately be used to reach nearby star systems. To build the BFR, SpaceX recently secured a lease for a site at the Port of Los Angeles, where it plans to construct a 200,000-square-foot factory. The location is just 14 miles south of the company’s headquarters – and an ideal place to ship the rockets by water to its test-and-launch facilities in Texas. Musk also unveiled an enormous 30-by-40-foot tool in April that will be used to make the system’s spaceship out of carbon-fibre composite. This work and the test launches in Texas, which are scheduled for late 2019, will not be cheap. But $US1.257 billion could help. 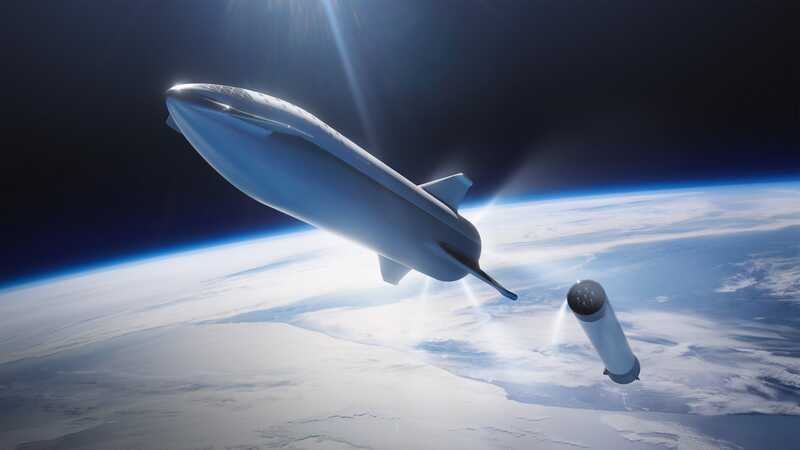 SpaceX previously said a BFR spaceship could fly more than 4.6 miles per second, more than 12 times as fast as the supersonic Concorde jets that are now retired. That would make it the world’s fastest transportation system. But even $US1.2 billion dollars isn’t enough to revolutionise the internet, send people to Mars, or set up a rocket-based flight system – let alone cover all three projects. Musk said in September that BFR alone might take up to $US10 billion to become operational, and analysts think Starlink may require another $US10 billion. But for a company that has done a lot with far less, a significant pile of cash isn’t a bad start.